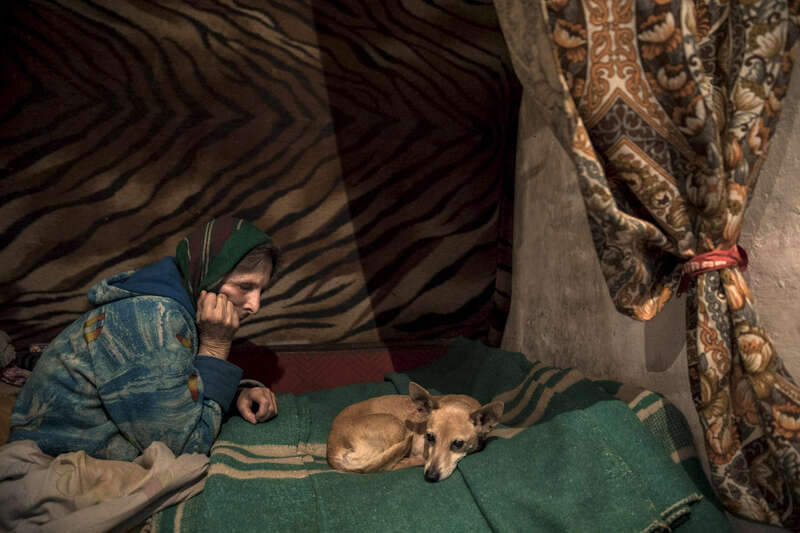 Avdiivika: Elena Parshyna,age 66, she is blind and lives alone now sits on her bed with her dog who now has passed away along with her husband who had a heart attack in April and her son who also died late in 2017 from the same fate. Both her husband and her son were buried in a small cemetery that is mined and too close to the military positions so she never can go visit the graves. The home was shelled last year, still damaged but Elena refuses to leave. Her remaining family - daughter and a sister all live on the other side of the contact line in Makeyevka city controlled by pro-Russian separatists.